Ask any girl and she will most likely tell you that she would love to get married in spring. There is certainly some magic and romance about the way in which nature comes to life with a showcase of lovely flowers at this time of year. The delightful spray of color put forth by the beautiful spring blooms does help one to forget about the winter blues and look forward to a new beginning in all our lives. It is no wonder then that spring is a popular time to tie the knot. 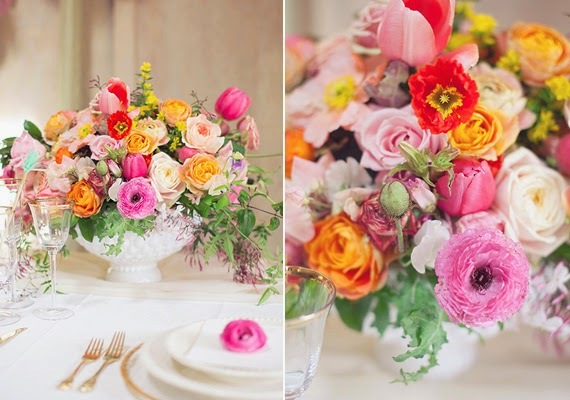 To really make the best of a garden wedding, you could start planning in advance by planting bulbs, shrubs and perennials that will match the theme colour of your bridesmaids' outfits and wedding bouquets. 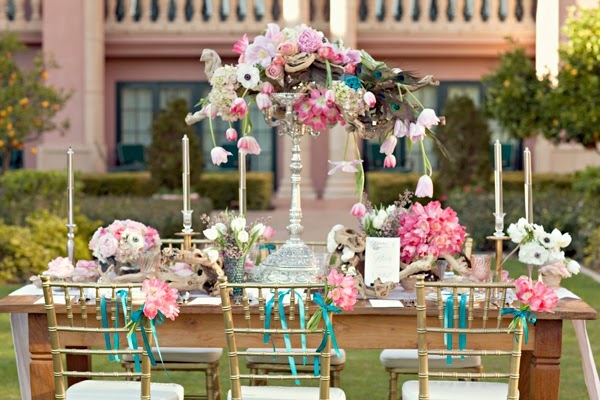 For instance, pink azaleas would complement most pink shades of bridesmaids' dresses. Purple blooms would also create a great contrast to the white gown and the pastel colours of the bridal entourage. 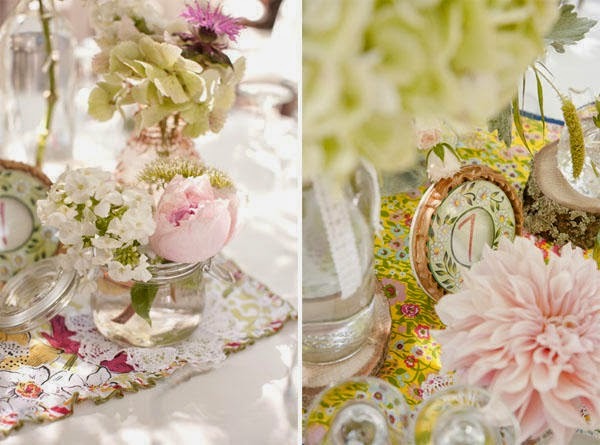 For this garden wedding to be a remarkable success, you need to know whose garden you are using. It would be simpler if it were your own or your parents'. In either case or more so if you are renting a private garden, it is best to employ a professional landscape designer to take control of planting the desired flower seeds. This person will know exactly when the flowers will start blooming and will ensure that everything looks lovely for the big day. The advantage of having a spring garden wedding is that the venue can also double up as the backdrop for those bright and wonderful wedding photographs that you will look at years later and cherish. This means that you need not rush to a studio or another venue, just to take those gorgeous photographs. You could save a lot of time and hassle by having it all done in one place. When it comes to giving away spring wedding favors, the natural choice would be little boxes of daffodil bulbs for instance, that would bloom in summer and brighten up the lives of the guests you give them to. Needless to say, this is a lovely thought that calls for a lot of work. It also involves proper timing and once again it is best to seek the advice of a seasoned gardener to know when exactly to start planting the bulbs and what to expect in terms of blossoming time. Daisy, cherry blossom, magnolia, lily, lilac and hyacinth seed packets are other spring garden favors that will serve as a beautiful reminder of your special spring wedding. To take the spring theme a little further, your wedding invitations could have a spring influence featuring spring flowers or scenery on them. You could send them as pocket invitations which are small and handy invites that are becoming increasingly popular these days. 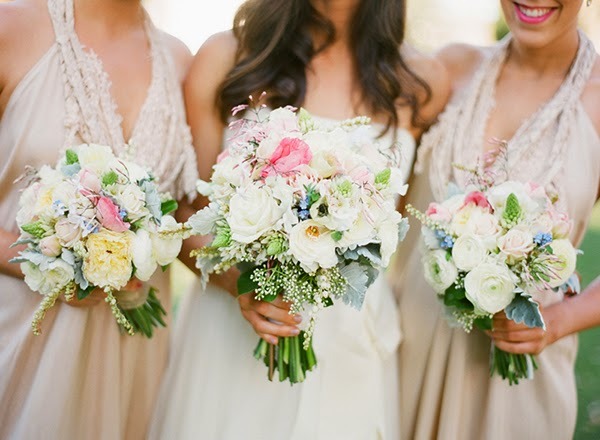 Spring also offers a great color choice for the wedding attire with pink, lavender and periwinkle being the well known favorites of the season while sage, mocha and light blue offer new options. Combining some of these colors to enhance your appearance is something to consider and the final look should reflect your taste and personality. Creativity is key when planning a spring wedding and while much of the preparation seems to fall under the jurisdiction of the womenfolk, the men in the family can help by building flower arches or trellises that would lend a great deal of charm and grandeur to the occasion.